Ingrown toenails happen when there is pressure placed on the point at which the nail enters the skin, regularly over a period of time. This most commonly occurs on the big toe. Ingrown toenails can be painful and can even lead to infection. Here are a few natural ways to prevent them, as well as some ingrown toenail remedies. Ingrown toenails often occur among athletes, because the running and quick stopping associated with many sports tends to put extra pressure on the toes. Women who frequently wear high-heeled shoes may also experience ingrown toenails. If you are concerned, be sure to choose shoes that give your feet plenty of support. Make sure your shoes don’t put pressure on the toes. Find a pair that can absorb the shock of repeatedly hitting the ground, if you are an athlete. Try to avoid shoes with pointed toes, or any shoes that direct your toes inward. This is particularly important for women. Aesthetically, many of us prefer fingernails and toenails that have as little of the cuticle visible as possible. Many of us believe this gives the nails a presumably more groomed appearance. However, you should never allow your manicurist or pedicurist to cut your cuticles. They have a purpose — and that is to protect the area from which the nail grows, and to keep out bacteria that can lead to infection. Most of us can wear socks and pantyhose with no problem. But those of us with flatter feet may have more cause for concern because our feet and toes are more likely to roll inward while walking. This leads to more pressure on the toes and nails. If this sounds like you, it may be a good idea to stay away from pantyhose and tight-fitting socks as much as possible, as they will pull your toes further inward. Don’t allow your toenails to grow too long, as they may press against the inside of your shoe, causing additional pressure at the base. When you cut them, it is best to trim straight across, as cutting them in rounded or V shape can cause the nail to be more angled at the sides where it meets the skin. This can cut and irritate the skin and lead to infection. At the same time, you don’t want to cut your nails too short, either. Doing this can expose skin that is usually covered by the nail, and cause the skin at the sides of the nail to fold over the nail, causing irritation. Because ingrown toenails are caused by pressure, relieving that pressure whenever possible can help to prevent them. If you go to an event where you’re wearing high heels, or you participate in an athletic event like running or soccer, try to go barefoot for about an hour afterward. If you’re already experiencing an ingrown toenail, here are a few ingrown toenail remedies that you may want to try. 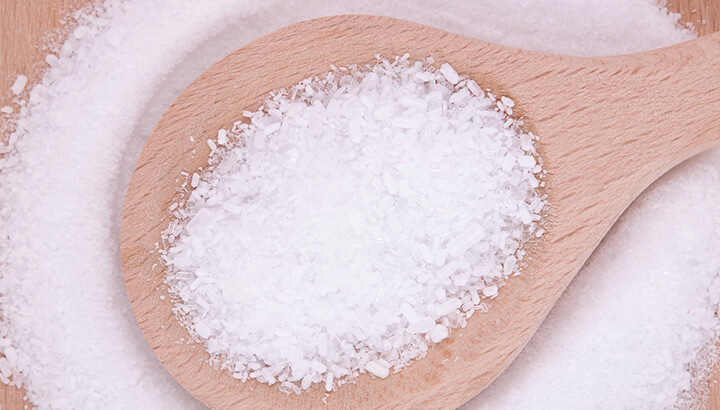 Try soaking your feet in warm, soapy water with Epsom salts. You can do this three or four times daily. Doing so will keep the area clean and prevent infection. It can also help to soften the skin, which may make it easier to draw the toenail out. Soaking is also a beneficial way to relax at the end of the workday. Soaking your feet can be highly beneficial, but actively scrubbing them can be helpful as well. Scrub your feet twice a day, being sure to thoroughly clean the area around the ingrown toenail, while also being gentle so as not to cause additional irritation or tear the skin further. Consider using a high-quality soap like Dr. Bronner’s vegan castile soap, which does not include harmful ingredients like parabens and phthalates. Apple cider vinegar has antibacterial qualities that can help to keep the area around the toenail clean as it heals. It may also help to prevent infection (thought it likely won’t cure an existing infection). Add apple cider vinegar to your soak, or apply a solution of apple cider vinegar and purified water directly to the area. 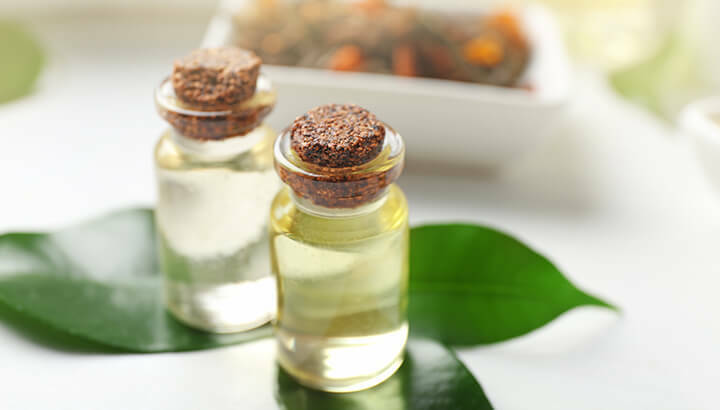 Many essential oils have anti-inflammatory properties that can help to treat the pain associated with an ingrown toenail. Some of the recommended essential oils include tea tree, lavender, clove and rosemary. Combine your essential oils of choice with a carrier oil and massage them into the inflamed area. Again, be gentle so as not to cause further irritation. And of course, make sure your hands are clean before touching the area. Take a piece of dental floss and slide it under the nail. The idea is to encourage the nail to grow in the right direction, not downward into the skin. Do this after you have soaked or scrubbed your feet. And make sure not to use flavored floss, as the ingredients used in the artificial flavors can cause a burning sensation when in contact with irritated skin. With these methods of prevention and treatment, you will have a useful toolkit that you can use to address and stave off ingrown toenails. However, there are times when it may be appropriate to see a podiatrist or other medical professional. If you believe the ingrown toenail may be infected, it is important to see your doctor. Infections can cause a wide range of serious health conditions. Also, ingrown toenails can recur. If you have had more than one ingrown toenail, it is a good idea to seek medical advice. There may be an underlying issue that requires treatment beyond what you are able to do on your own. Ingrown nails are painful and you do not want to continue struggling with them unnecessarily. Hey Buddy!, I found this information for you: "Natural Ways To Prevent And Remedy Ingrown Toenails". Here is the website link: https://www.thealternativedaily.com/natural-remedies-for-ingrown-toenails/. Thank you.